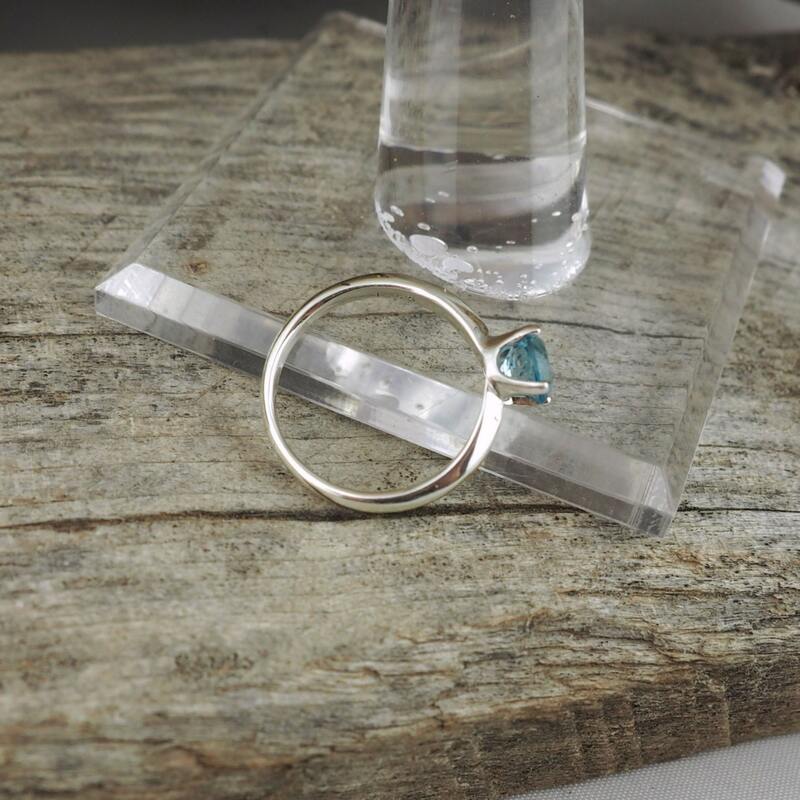 Sterling Silver Ring - Swiss Blue Topaz Ring - Friendship Ring: This stunning, sterling silver promise/friendship ring features a natural Swiss Blue Topaz stone. 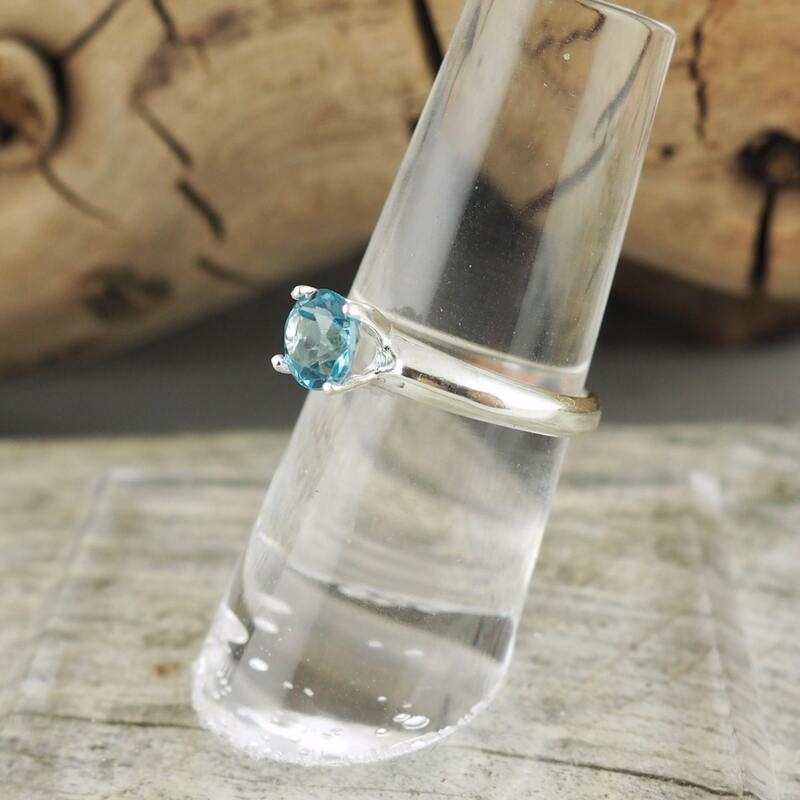 The 6mm Swiss Blue Topaz gemstone is 1.0 ct.. The band is 2mm thick at the bottom and 3.5mm thick where is joins the head. 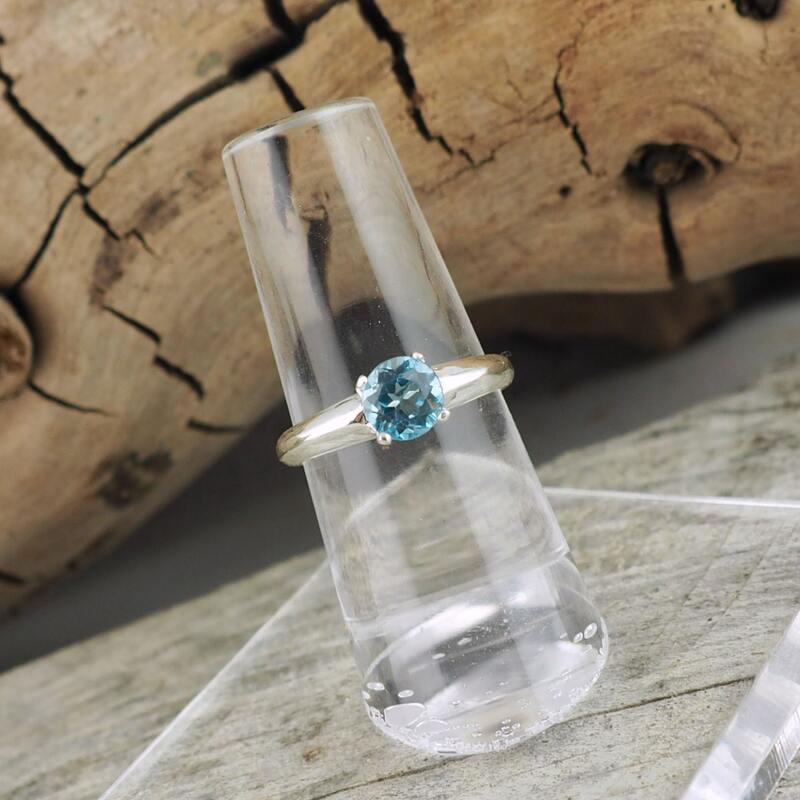 The star of this ring is the gorgeous Swiss Blue Topaz stone! 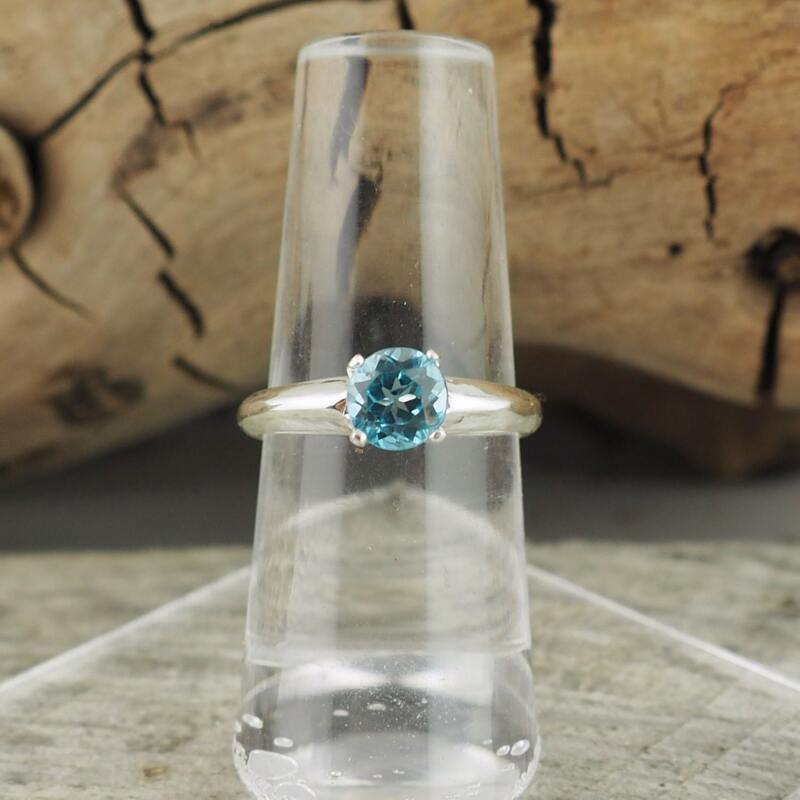 It has a fantastic blue color that makes this gemstone so popular! This is a high quality ring with a natural stone that you can be proud to present to someone special! 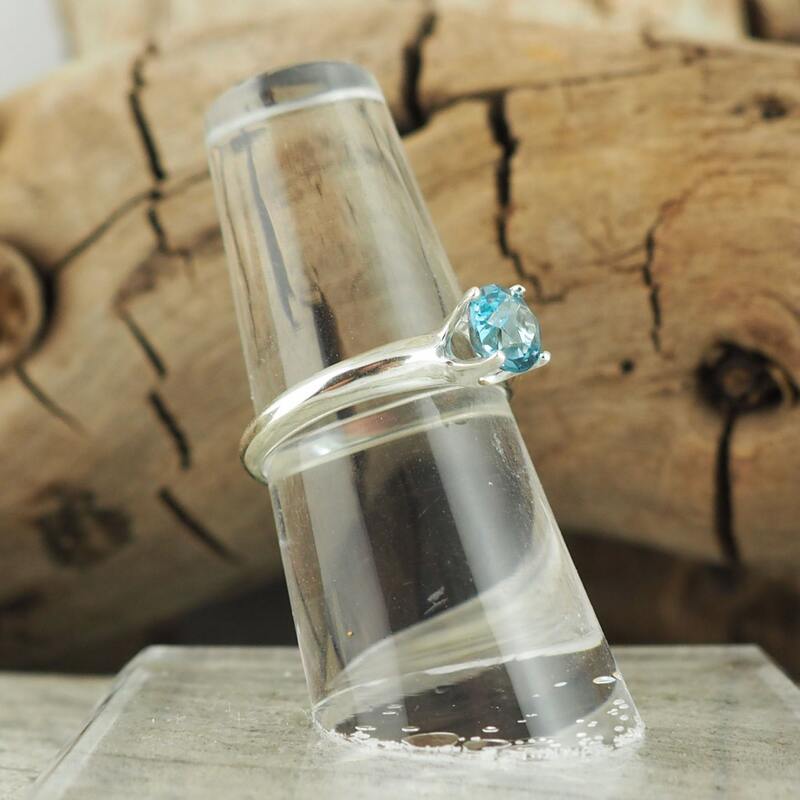 This ring, like all of our rings, is shipped in an elegant gift box for no extra charge! This ring can also be Rhodium plated for a $20 charge. Just let us know and we will make arrangements for payment.